In partnership with USC’s Center for Body Computing, we’re making a heart rate game for mobiles called, “Beating Heart” that we hope will the touch heart of teenagers. Tagging photos and friends on social networks is the norm. But what if you could tag and monitor your heart health in the same way? 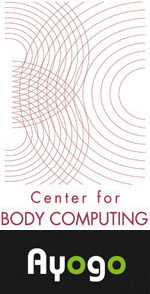 We are collaborating with the University of Southern California Center for Body Computing to make this a reality by working on a mobile- based heart rate game that will be played on social networks. A prototype of the game, code-named “Beating Heart,” was co-developed at the Center for Body Computing. The “Beating Heart” prototype has been written about in Forbes and Fast Company, and was named one of the top ten iPhone apps by Gizmodo, a technology site. Our award-winning design team is thrilled to be involved in this project and the tremendous opportunity it represents to innovate in social game design.